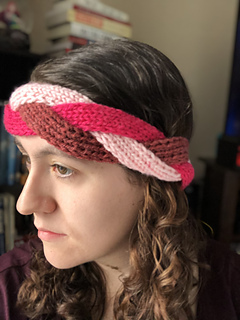 My mom asked me to make a headband for a gift exchange, and told me the receiver liked certain colors. I chose to integrate them all in a braid. I loved the way it turned out and was a little upset I didn’t keep it for myself! 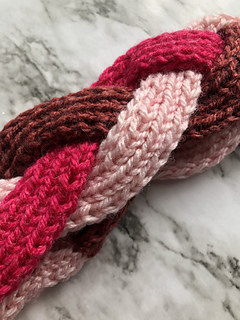 Cozy and plush, the Barbara Braid headband is an excellent way to stay warm and stylish. Easily adjustable to fit head size!